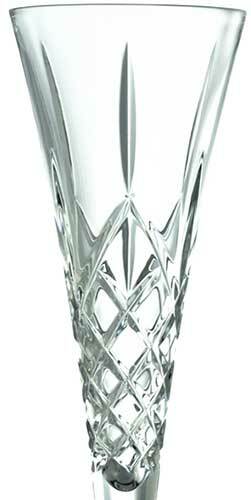 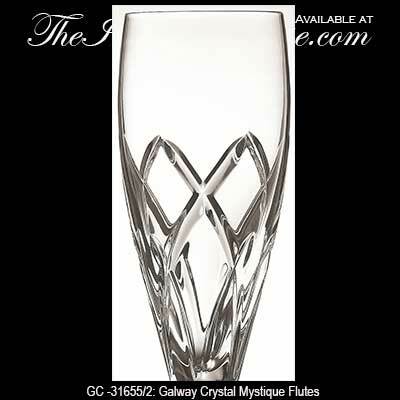 Irish champagne flutes are perfect for toasting at an Irish wedding or for any happy occasion. 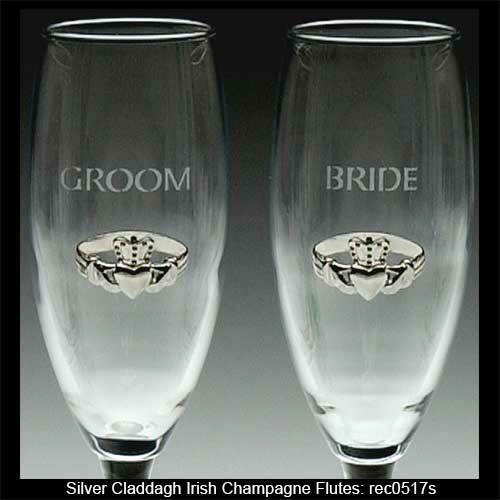 Select from Celtic champagne flutes and Claddagh champagne flutes along with Irish toasting glasses. 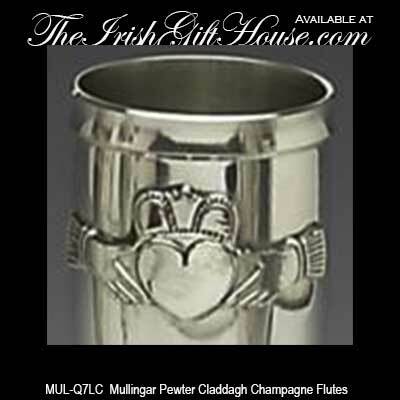 The symbolism on the Claddagh flutes and Celtic flutes at The Irish Gift House accentuates unending love. 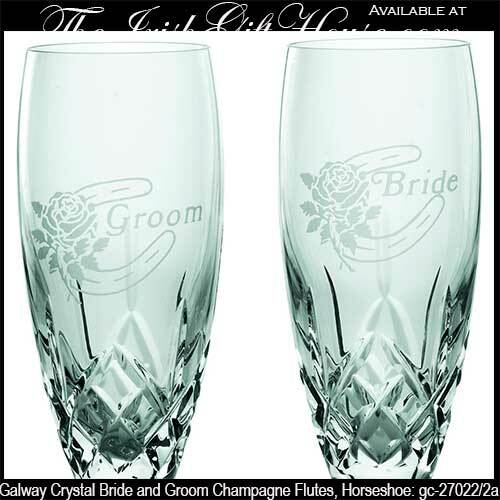 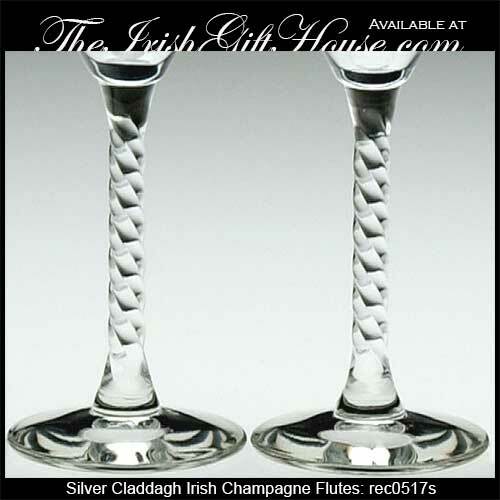 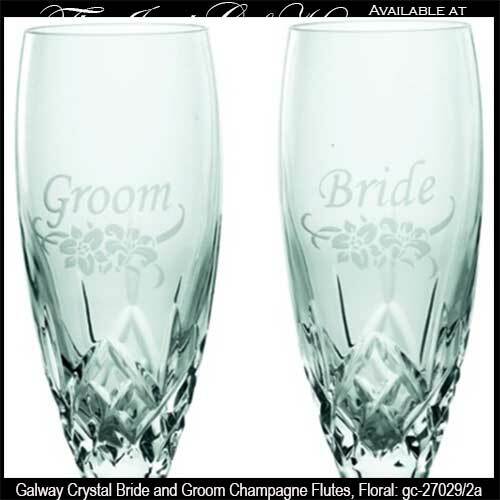 The bride and groom will be proud to use these Irish wedding flutes for their first champagne toast and for many more toasts in the years to come. 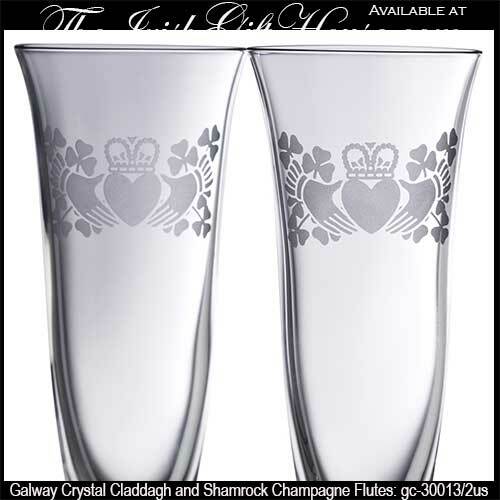 Claddagh champagne flutes feature pewter construction with embossed subtle shamrocks; they are ideal as wedding glasses or for toasting at any Irish celebration. 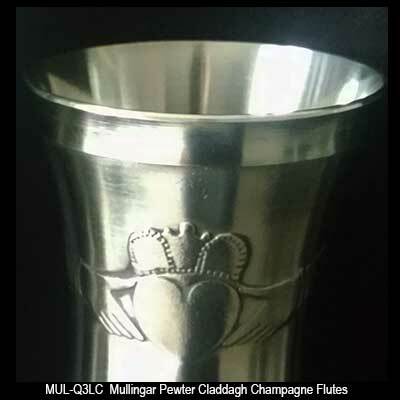 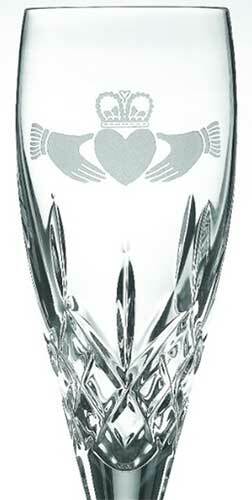 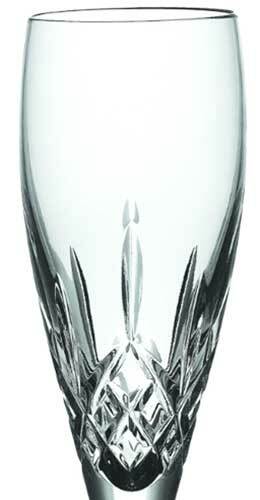 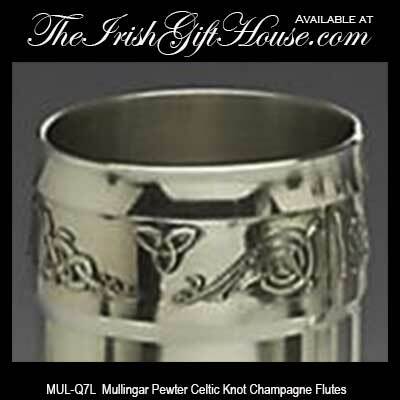 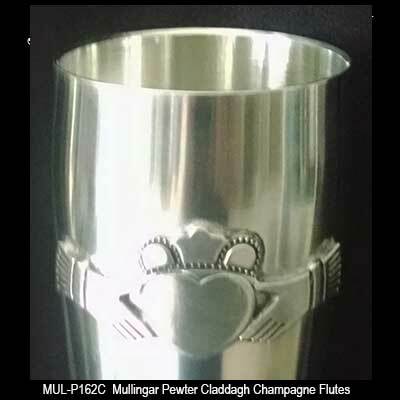 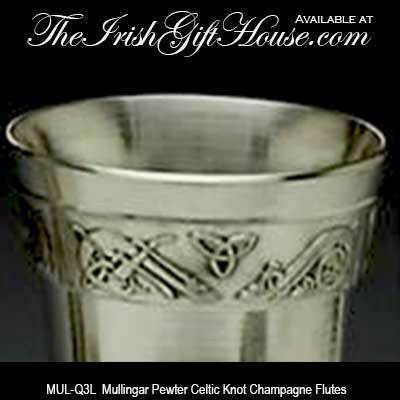 Pewter champagne flutes feature the Claddagh and are ideal as wedding glasses or for toasting at any Irish celebration. 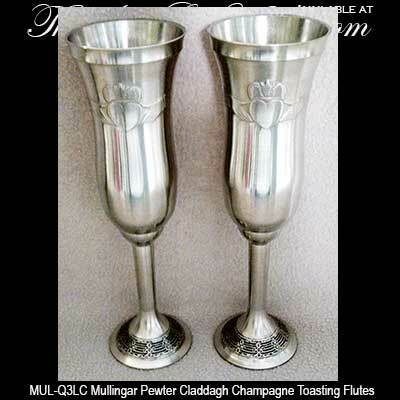 Pewter champagne flutes feature the tall Greek style and are ideal for your wedding toast or for any Irish celebration. 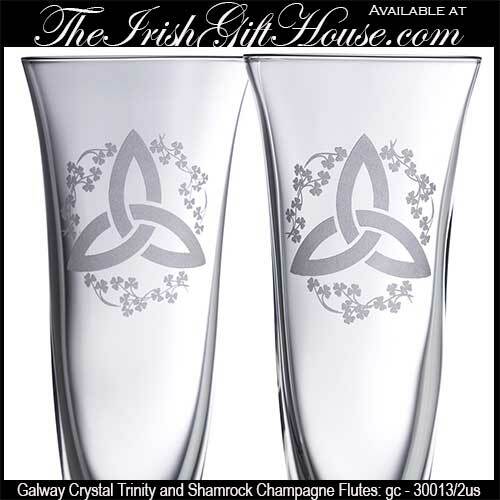 Some couples look for alternatives to the perceived wedding protocol and for that reason some have gravitated toward our Celtic goblets as toasting glasses. 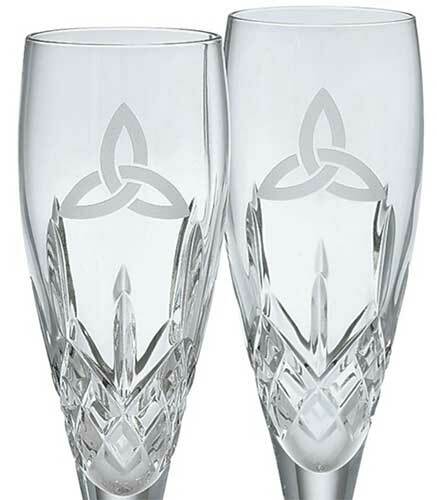 One cup with two handles is also traditionally used by a Celtic bride and groom so take a look at our Claddagh wedding cup with Celtic knots and our Quaich cup.